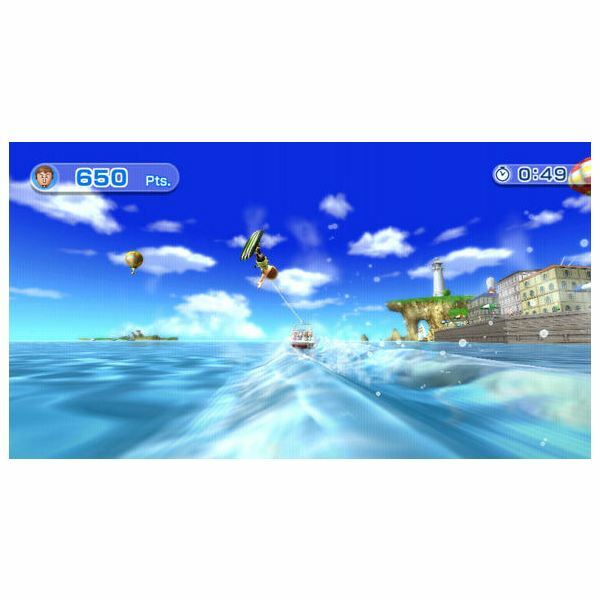 Wii Sports Resort, unlike first person shooter games, doesn’t offer much in the line of prizes or upgrades. 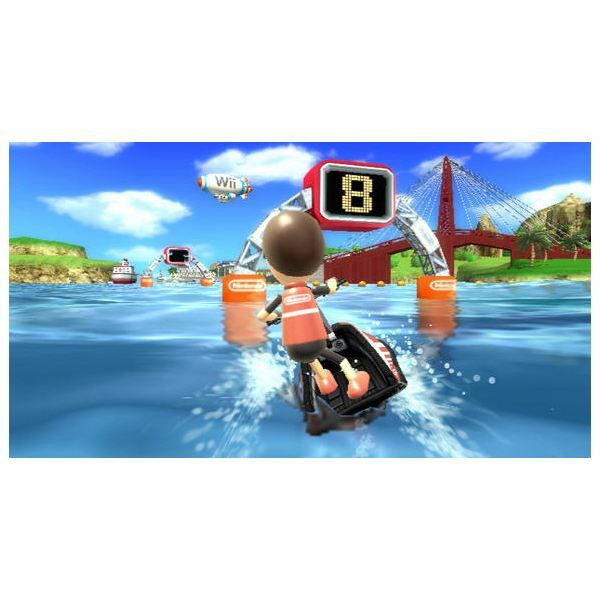 All activities come unlocked by default, so these Wii Sports Resort cheats will focus on how to make more points in certain activities to unlock advanced courses or cool toys. These are especially helpful when performing the Wii Sports Resort island flyover activity. Power cruising requires delicate handling. Your jet ski responds to your every move. It’s almost too easy to over-correct, and when you do over-correct, you almost instantly steer off the course. Making points in power cruising commands the ability to travel through course obstacles. These obstacles bounce up and down in the water and sometimes disappear altogether. Your job is to speedily travel through rubber hoops and get points at the same time. Keeping Pace: Every wave you encounter slows you down. Maintain your speed by twisting your grip forward with the handle and nunchuk. This gives you a temporary burst of speed. Keep bursting your speed as often as possible, or you’ll lose out on points. Use small corrections: Steer with your whole body, not just your hands. Steering with your body minimizes the movements that the remote registers and makes the experience more realistic besides. Be sure to straighten out your cruiser after each turn. You can unlock three slalom courses when you score high overall points or playing each even at least five times in Power Cruising with these techniques. They include the Marina, Cavern and Shoals. And here’s another cheat – try to get your points by doing the Lagoon course. The Beach course poses way too many harsh waves that slow you down and make scoring high points nearly impossible. games, which often keep advanced levels locked until a beginner gets proficient at a sport. Land level: Performing tricks sets you off-balance. Again, lean with your whole body as you steer, and gradually bring the remote back to a level position as you land. Otherwise, all the points you earned with that cool flip will drown as you and your board land with a flop and plunge underwater. Perform tricks only after cresting a wave: Flick your hands from side to side just before you travel out of the boat’s wake. Use the upward direction of the wake to launch you into the air for your trick. Air Sports seem lame until you use each activity to unlock points and prizes. The Wii Sports Resort island flyover cheats in Air Sports make flying aimlessly a little more worthwhile. Make sure you’re in “Island Flyover" mode to collect the prizes. Collect iSymbols: Aim your plane right into a round “I" symbol, which usually hovers just feet above the ground. Each time you do, you’ll unlock the ability to pop balloons, use a double blaster and upgrade to a two-seater airplane. Get new views: Flying through iSymbols will also open up the nighttime view for flying. Your flight path will be lit with fireworks.